Feeling like you are entering your blue period? Or maybe pop art is more your taste? 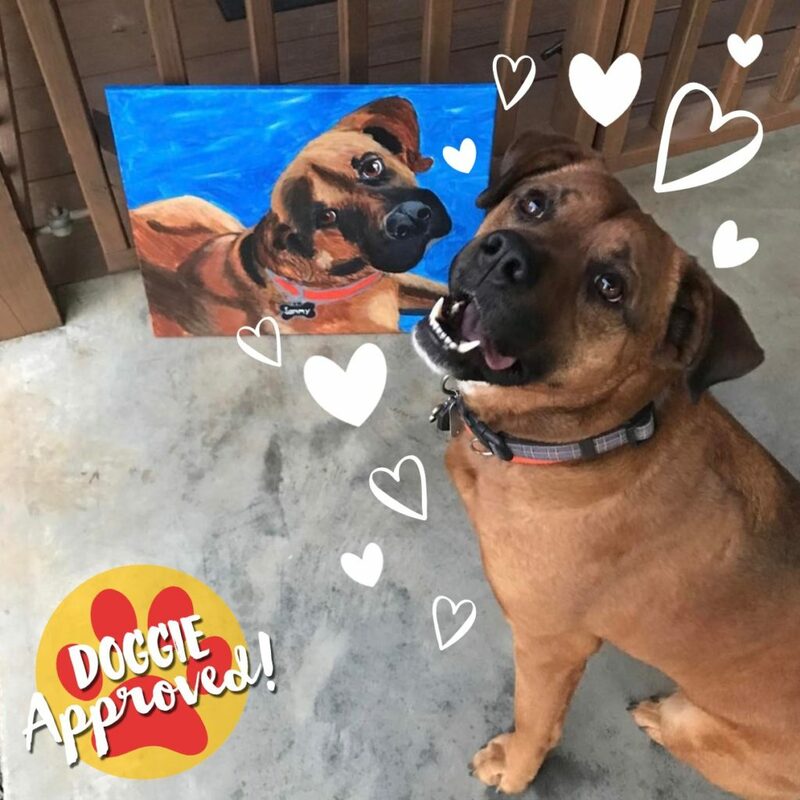 Painting with a Twist doesn’t just DO a Paint Your Pet class… we do Paint Your Pet classes with style. 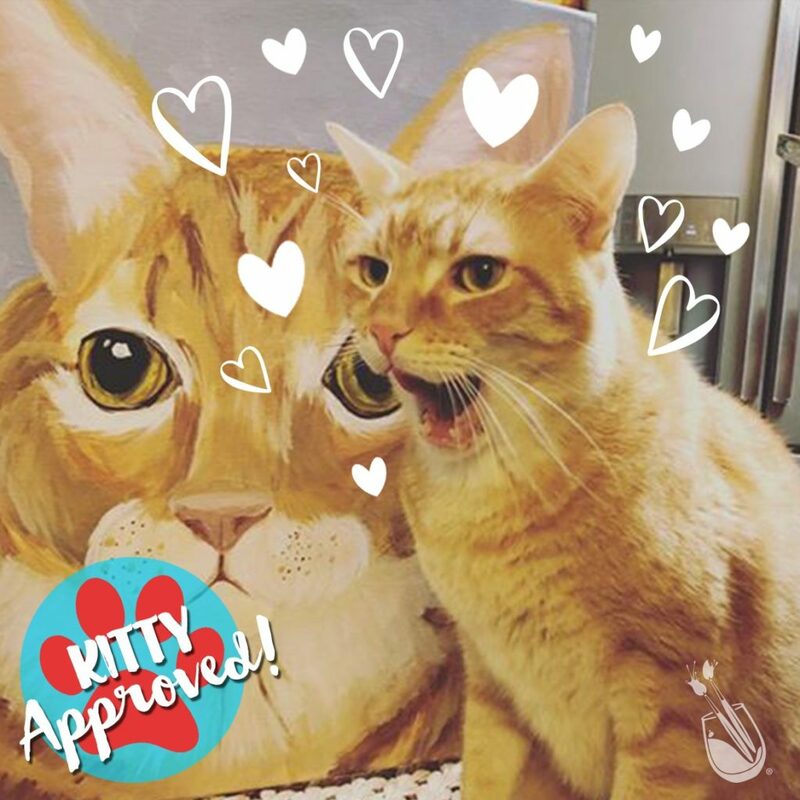 Painting with a Twist offers, “Paint your Pet” classes in a variety of styles including Pop Art, Monochromatic, and Rainbow. Available canvas sizes are 16″ x 20″ or 12″ x 12″. If you are looking for a particular color scheme to match your décor, we’ve got you covered! You can pick the colors you would like to incorporate into your painting. How our Paint Your Pet classes work. Visit your local studio’s website and pick your class. Email a picture of your favorite furry (or feathery) friend to the studio. Paint, Sip, and have a great time! Whether you go solo or with friends, you will have a great time. You will also walk away with a really cool painting of your beloved pet that you can hang on your wall. Do you have a friend who just loves their pet? This is a fantastic gift idea! 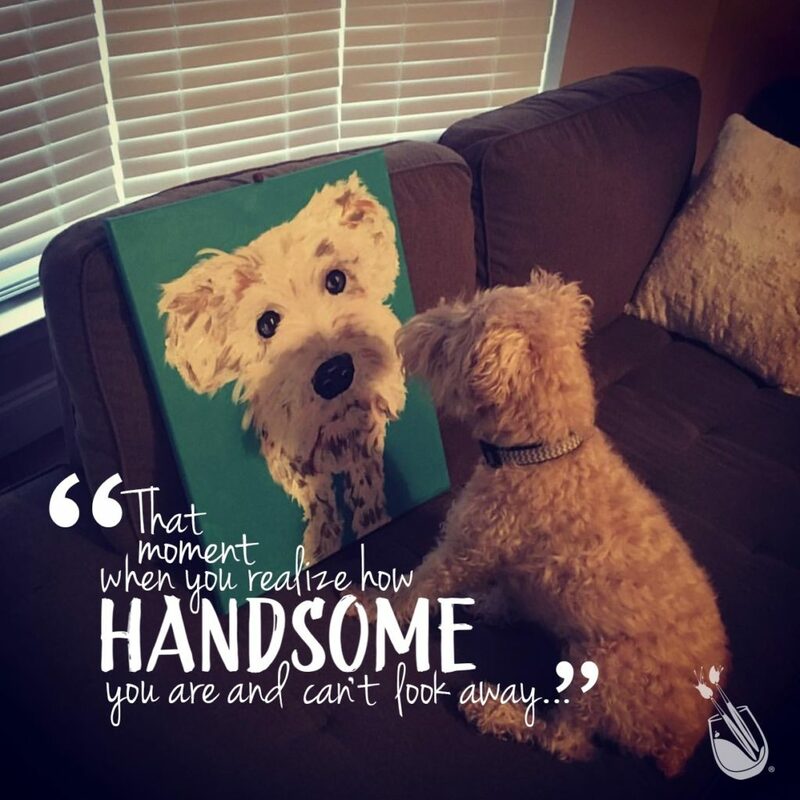 Paint their pet for them, and you’ll give them something personal that they are sure to love. 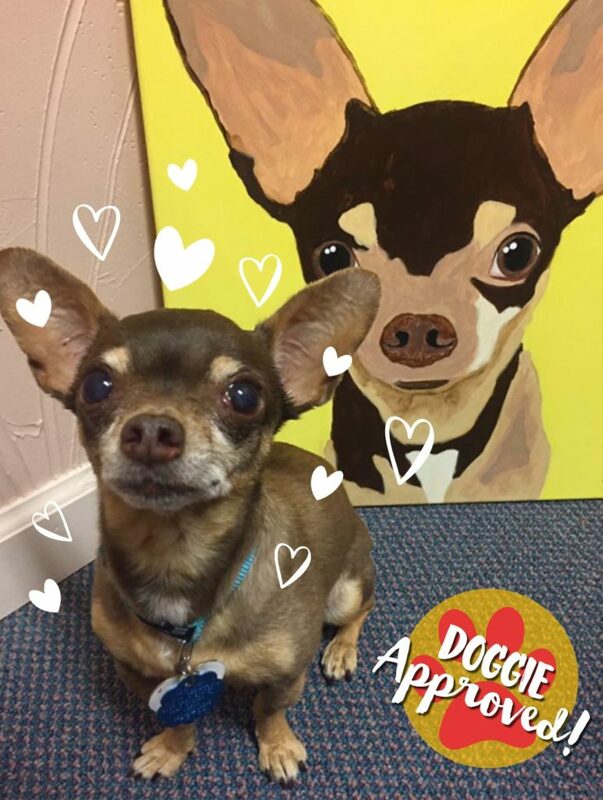 For more details and classes near you, visit our Paint your Pet Page. The holiday season is around the corner and it’s time to hang up the holiday decor! Some people start decorating the moment Halloween ends and others wait until the dishes from Thanksgiving dinner are cleaned and put back in the cupboard. Whichever type of person you may be, it’s never too early to start creating new memories and new holiday decor! Painting with a Twist studios are offering classes where you come to relax, laugh, sip, and paint a beautiful new addition to your holiday decor. Already have too many decorations waiting to be hung? Painting a loved one a festive door hanger or vibrant set of wine glasses could be the sentimental gift idea you’ve been searching for. 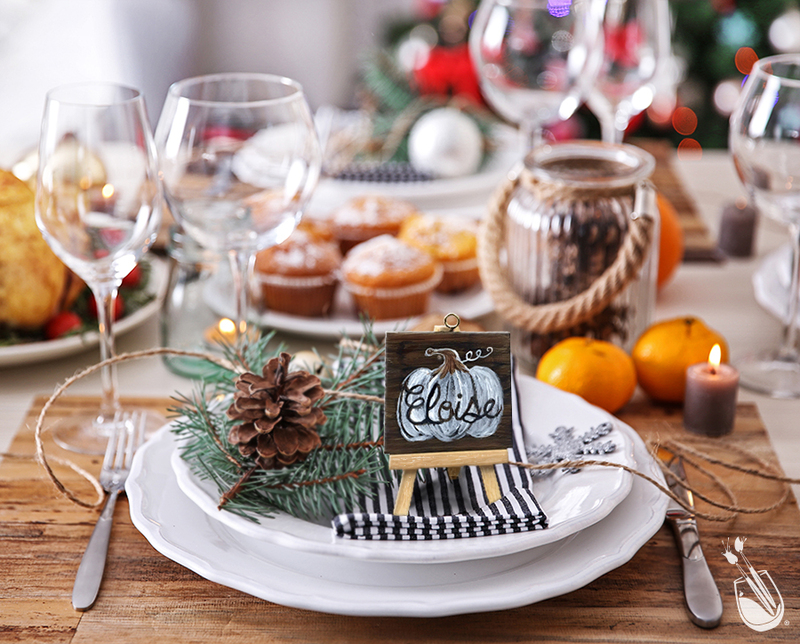 Make your Thanksgiving table the talk of the town by painting personalized place setting canvases on mini easels. Seasonal sets are tiny but pack a serious wow factor. They can be painted any color to match any place setting. Think of all the possibilities! Your guests will be in awe at your creativity and thoughtfulness. Click here to paint your own Thanksgiving Place Cards. The seasonal sets have another meaningful purpose, too: Tree Ornaments! Add a memory to your tree this year with a brightly colored set of ornaments, handpainted by YOU! 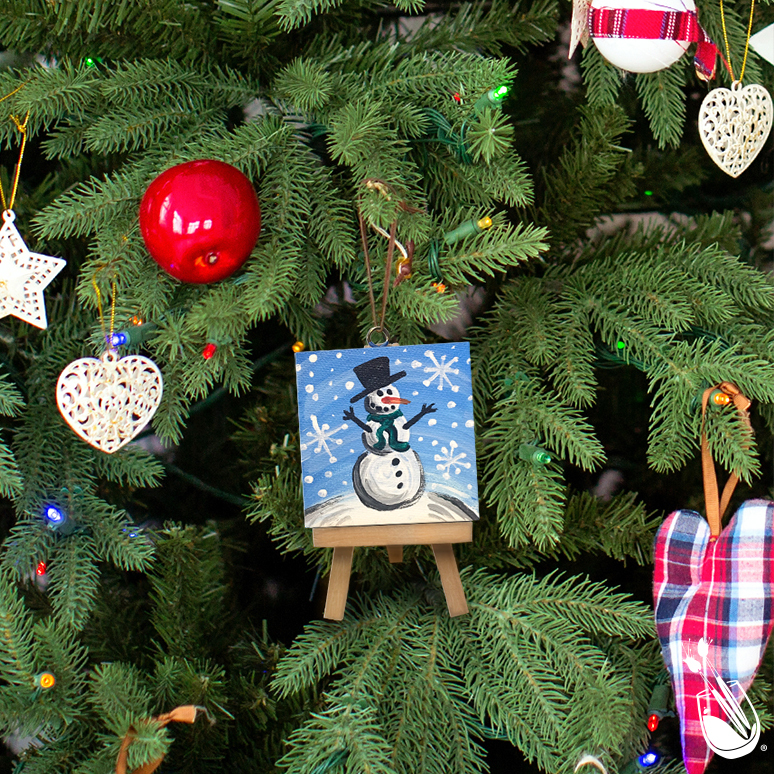 Loop a strand of ribbon around these darling canvases, and voila: An ornament! You can even tie them to the bows on your presents to add a sentimental touch to your holiday gift giving. Click here to paint a set of Christmas Ornaments. Introducing… hand painted wine glasses! Ooh, la la! These decorative beauties will help you level up your holiday decor from November all the way into the New Year. 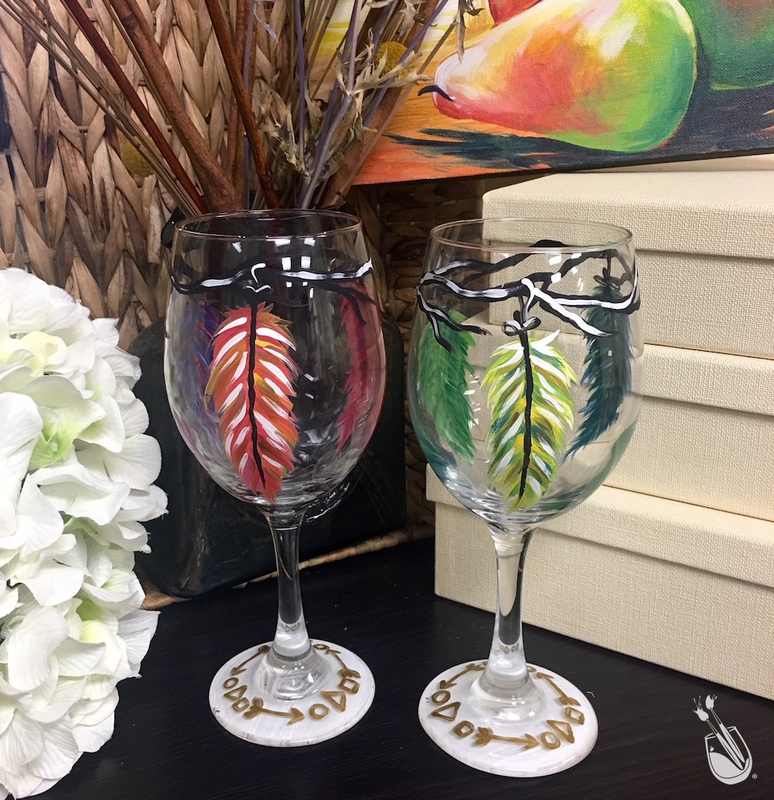 Click here to paint a set of Boho Feather Wine Glasses, perfect to spice up any Thanksgiving decor. Looking for a Christmas design? Find your local studio to browse their calendar for more seasonally themed decorative wine glasses. 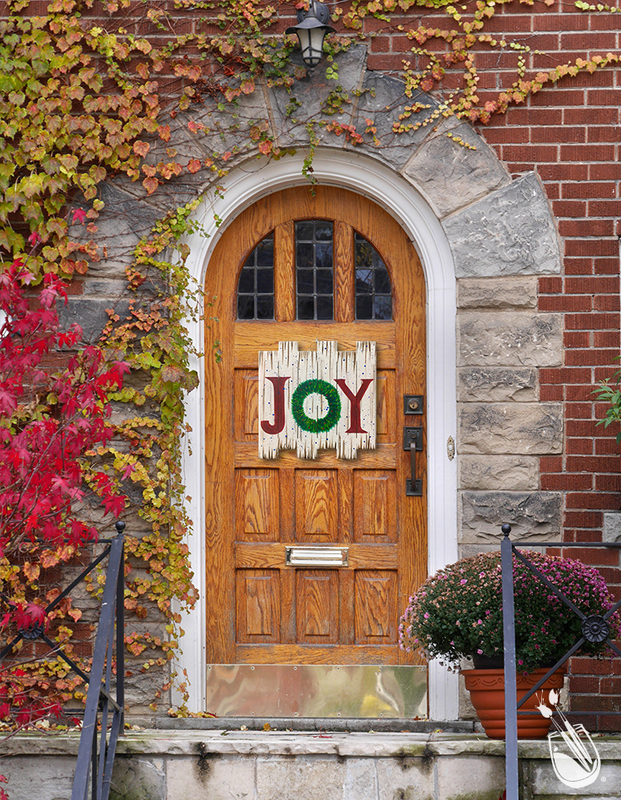 Show off your holiday spirit by dressing up your door in holiday decor! Trade in the standard wreath for a more creative option: A pallet style wooden cutout. Bring joy to your neighbors every time they pass by. Click here to paint your own Joy Wreath Pallet Door Hanger. Inside holiday decor is just as important as outside holiday decor. 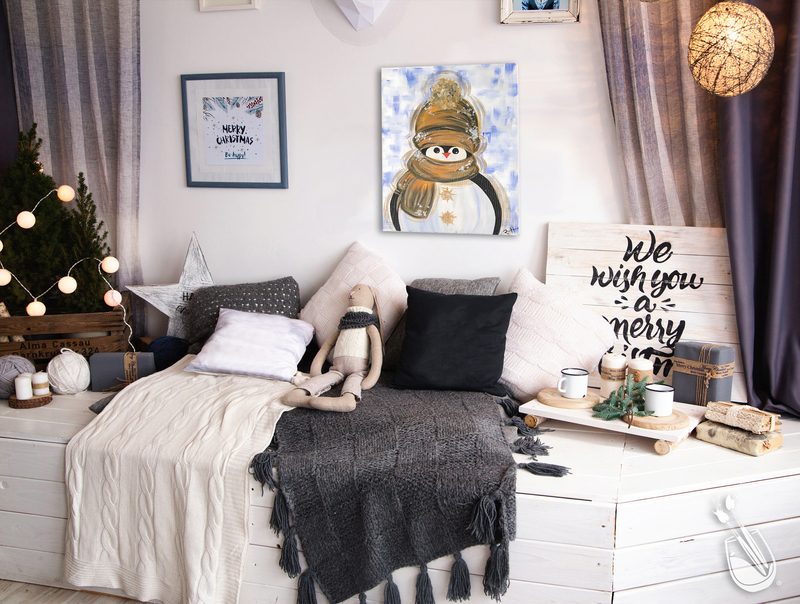 Fill your rooms to the brim with festive cheer and artwork! Tis the season to remind yourself to feel grateful and jolly, right? 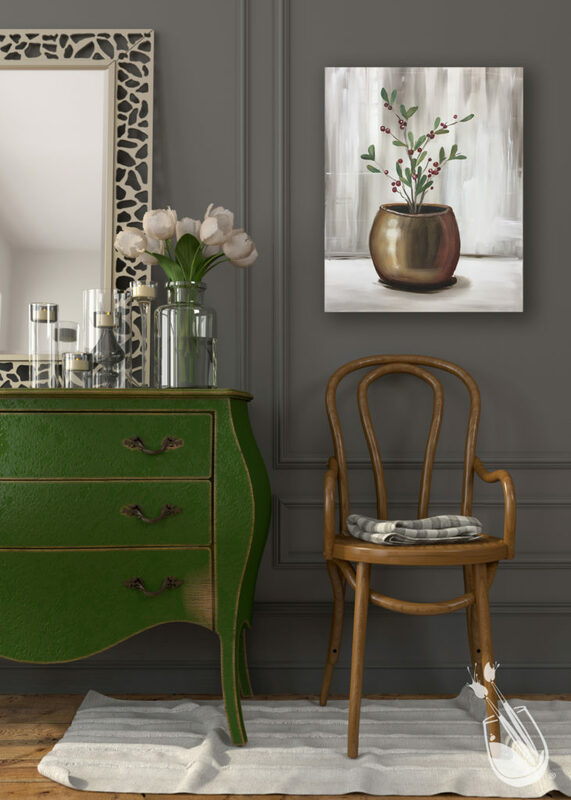 Hang up your artwork from Painting with a Twist for a personalized look. Click here to paint Shake Your Flakes 2 at your local studio. It’s fall! Time for changing of the leaves and routines. Are you looking for different DIYs to bring some of that autumn spirit into your home, but don’t have the time to look for any inspirational ideas? We have got you covered! There’s no doubt you are focusing on getting reacclimated to schedules filled with school schedules, homework, and after-school games. It’s completely understandable if the time left to think about bringing warm colors of fall into your home has been given to coordinating time slots between soccer and football practices. There are so many different ways to incorporate the season changes into your home, we thought it might be nice to give you some festive DIY ideas to help you create a cozy, organized decor for fall. Which idea are you most excited to try? Each one is so much fun. Please post pictures of your projects below. We’re dying to see how your’s turn out. Turn list-keeping into a fun family activity! 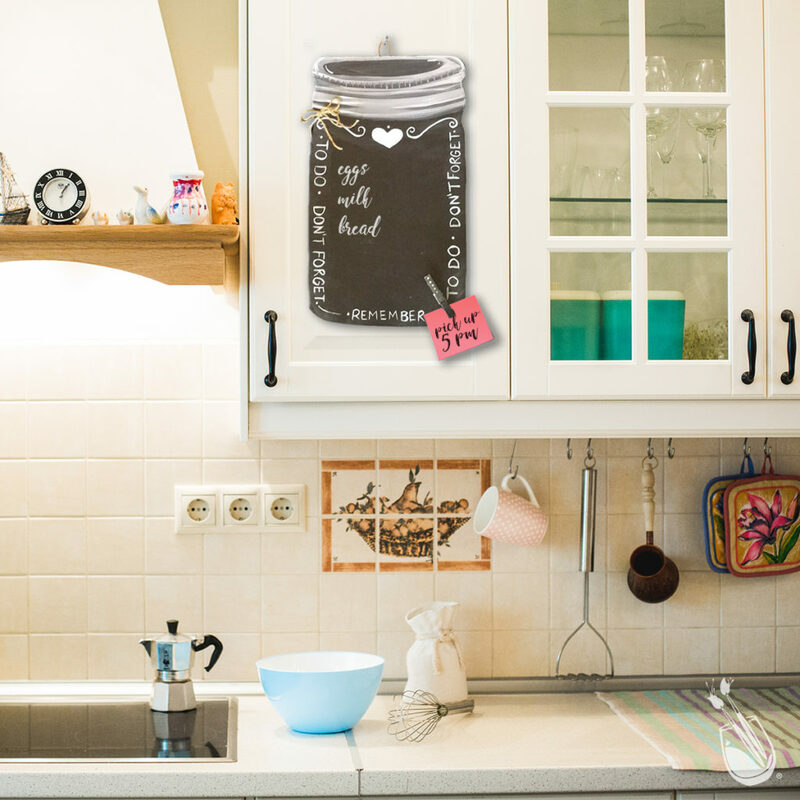 This charming wooden cutout adds a touch of cute to your kitchen and a fun place for everyone for notes and reminders to each other. Join a Painting with a Twist class to make this! These little pumpkin yarn balls are so simple and easy to create. They make a great weekend decoration DIY project for you and the kids! Did you know Fall is also prime time for Purple Martin Bird to make their annual visit? Since these birdhouses are man-made structures, not only do these DIY gourd birdhouses look neat, they also attract these birds. This DIY project instantaneously made us fall back in love with candy jars. Take your Halloween Candy game up a notch this year with these incredibly adorable pumpkin pots! Your threshold gets an enormous amount of much this time of year. Why not make sure it represents your family in the best way possible? This family monogram is just one option to make over your door this season. Create your own at Painting with a Twist today! Sometimes the tiniest accents make all the difference in a room’s feel – wouldn’t you agree? These adorable colorful acorns are the perfect addition to any room this season and they’ll last! Pine cones. They one of the most fun parts of Fall. This little DIY project is a perfect weekend activity for you and the kids. Spend some time looking for the pine cones, decorate them and then watch the fruits of your labor. Our favorite animal to watch dig the seed out of the peanut butter are the squirrels! Their little feet get all peanut buttery – it’s hilarious. What’s your favorite animal to spot? Doesn’t Thanksgiving feel forever away? With all those Fall schedules, we found it’s better to start planning the holiday season now – even your decorations. Quickly transform your guest bathroom into a place where your Q-Tips and cotton balls get a festive home as well! These cute little Halloween jars are the perfect touch to add a quick Fall splash. A super quick way to spruce up your decor for Fall is to paint something yourself! Not only will you be proud of how glam the feeling in your house has become when your friends and family you can also be proud that you made it yourself. Create this addition to your seasonal interior at Painting with a Twist.